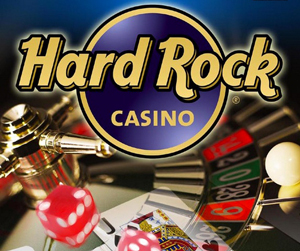 Hard Rock considering going into the Atlantic City market. You’ve heard it once, so you will probably not want to hear it again but Hard Rock is dipping their toes into the Atlantic City casino market once again to test out the waters. They have always been interested in the Atlantic City casino area but they were not sure how to get their in when it came to scooting up to some of the other, larger casinos that were on the strip. Now that many of them have left and gone their own way, they can consider taking on one of the older casinos and using it to their advantage. Since the downfall of the other casinos throughout the area, many casinos that are doing well in other places are looking to come up and provide a new type of gambling for those that visit in the area within the buildings that already exist. Since the casinos are also already established, they will not have to go through a lot of stuff to get the licensing and permits that are needed to place their casino in the area. When they want to locate to a different area, they are much more likely to do so with an existing casino building and the go ahead from the committees and officials around them to begin their renovations and so on. With the help of this company, you’re then able to enjoy all that comes with the casino and what they provide in another area, such as in Las Vegas but you can play it now in Atlantic City. A lot of people did not think this was wise of the company to move to an area that they think is a dying area where a lot of people are not going to be visiting as much and haven’t been since the recession hit a few years back. How do you feel about Hard Rock moving into the area? Do you think it is a fail or something that they should move forward with? A lot of people have varying ideas and thoughts on what is going to happen when it comes to the casino market and adding Hard Rock to the list.